Researchers from the University of Southampton have observed that salmon populations might be adapting their eggs to survive in degraded rivers. The study, which included input from Professor Paul Kemp in the School of Engineering, found variations in egg membranes across several UK rivers which allowed embryos to incubate in differing oxygen levels. 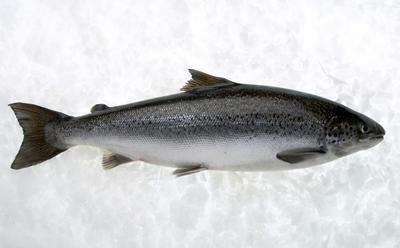 The findings could have important implications for the management and rearing of salmon populations, which are in decline in some natural habitats. Sediments washed off the land can starve rivers of oxygen by encouraging more organic matter to grow and by silting up the gravel beds where salmon lay their eggs in nests. Tests on eggs in laboratory controlled conditions showed that those with less permeable membranes were less likely to survive low-oxygen conditions. The research, which was funded by the Environment Agency, has been published in the journal Royal Society Open Science.